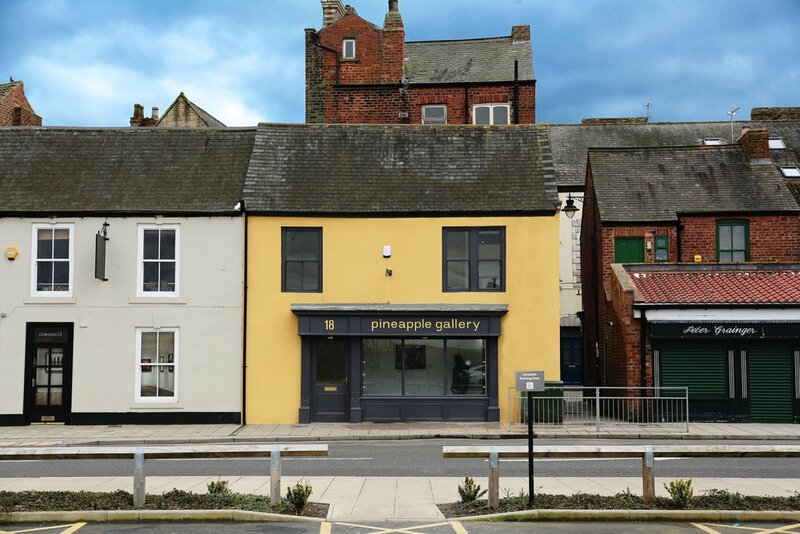 Situated in the heart of Bishop Auckland, the Pineapple Gallery was founded in 2016 by Gallerist Tom Gibbons. Raised in a household full of creative expression, Tom’s passion follows three generations of artists and musicians. Perhaps the biggest influence on Tom was his mother who was listed in “Who’s who in Art” in the 1950’s for her work as a commercial textiles artist, having studied at the Central School of Arts and Crafts, Bloomsbury, London. The Pineapple Gallery are proud to own a large collection of her work, and are working to promote it once more under the Pinery. The motivation of the gallery is to display high quality contemporary art whilst promoting and increasing the recognition of artists in a search that is both national and international. Tom feels it is a huge privilege to visit the studios of the artists he presents to discover more about the technique of their work. His aim is to bring to you that brilliance, along with the beauty and the novelty that moves him. Sadly, although the gallery comprises two floors, there are problems with disabled access to the first floor. Albeit, the pineapple is the international symbol of welcome and we hope you enjoy your visit here! We are easy to find, located directly opposite the North Bondgate carpark in Bishop Auckland. You can click the map for directions. Opening Times: Wed to Sat 11am - 5.30pm ; most Sundays & bank holidays 12 - 4pm. Whether you are interested in visiting or would like to find out more about the Pinery, we would love to hear from you. Thanks for getting in touch! We will endeavour to get back to you within 24hrs.